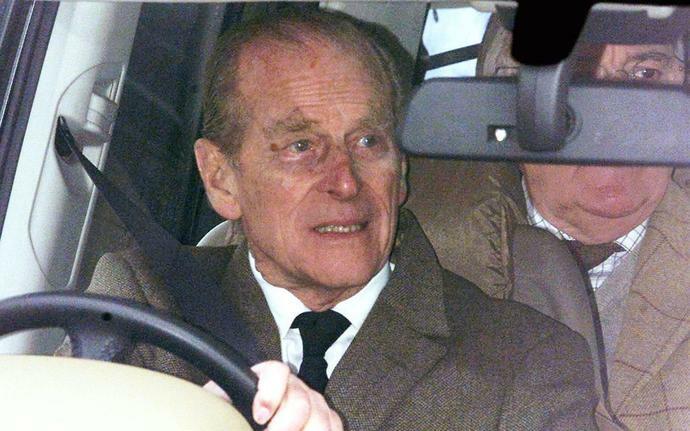 A woman who broke her wrist in a car crash involving the Duke of Edinburgh has said she feels "safer" now he has given up his driving licence. Emma Fairweather, 46, who was a passenger in a Kia Carens that collided with the Duke's Land Rover last month, said: "He's making the most sensible decision he can. It's a shame he didn't make it a bit sooner but it's the right thing to do." The Duke, 97, voluntarily surrendered his licence after "careful consideration", Buckingham Palace announced this weekend. Nick Freeman, the lawyer known as Mr Loophole for his successful defence of celebrities charged with traffic offences, said: "What would be the point in prosecuting a 97-year-old man who has dedicated the majority of his life to public service and who has already given up his licence? "I'm not saying (the decision) was designed to achieve that but the net effect of it would render a prosecution a totally futile exercise. It would achieve nothing." "If he had not given up his licence I think it's without doubt they would have gone down the prosecution route," he said. "They may have thought they had a duty to take him off the roads, they could have made him retake his test, but surrendering his licence scuppers any prosecution." Ms Fairweather, 46, a mother-of-two from Kings Lynn, Norfolk, told the Sunday Mirror: "Undoubtedly the roads will be safer now. It won't have been easy for him to make as it is a loss of independence. But he can work around it." The Duke's decision to relinquish his licence is in marked contrast to his attitude in the aftermath of the January 17 accident, when he took delivery of a replacement Land Rover and drove it on public roads without a seat belt. He later wrote to the victims to express his contrition.